Huge Savings Item! Free Shipping Included! 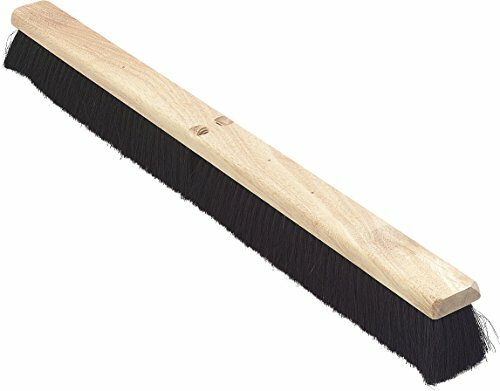 Save 12% on the Carlisle 4505603 Flo-Pac Fine/Medium Floor Sweep, Tampico Bristles, 36'' Block Size, 3'' Bristle Trim, Black (Case of 6) by Carlisle at Blog Free Here. MPN: 4505603. Hurry! Limited time offer. Offer valid only while supplies last. Carlisle Tampico's natural bristles are great for sweeping heavy debris. Fine/medium Tampico fiber resists heat and chemicals. Hardwood blocks. Carlisle Tampico's natural bristles are great for sweeping heavy debris. Fine/medium Tampico fiber resists heat and chemicals. Hardwood blocks. 3-inches trim to meet your sweeping needs. For dry sweeping on semi-smooth surfaces. Tampico fiber resists heat and chemicals. Fine/medium Tampico fiber resists heat and chemicals. 36-inches block size. 3-inches bristle trim. Black color. Made in USA.